Thousands of people, including several Teamsters, lost their homes and jobs in the Camp Fire last November. 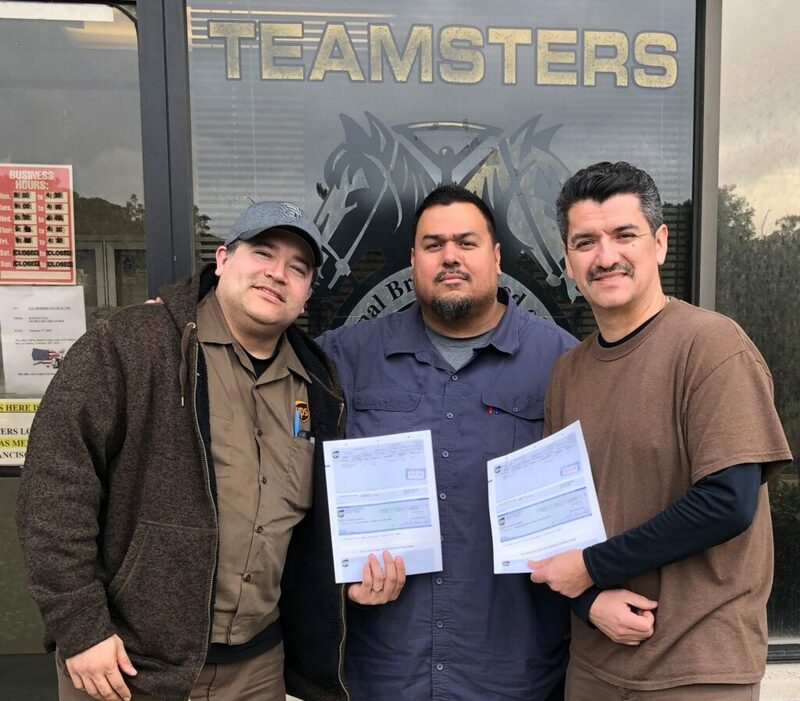 Rising to the occasion, Teamsters Local 2785 Retirees Club President Bob Silva reports that their club held a raffle in December that raised a nice donation for the victims. From left: Alternate Feeder Steward Freddy Cerpas, Union Rep Troy Mosqueda, and Chief Steward Michael Puentas. When feeder drivers discovered that their pay for the New Year’s Day carry-over on January 2, 2018, was both late and incorrect, the Local filed a grievance. After nearly a year’s worth of talks, the company agreed that the workers were, in fact, owed the money. In February, checks totaling more than $14,000 were distributed to the affected feeder drivers.